A coal load followed the Z-train up the hill, and I followed the load to Quanah (where I had started the day) to set up for a going-away shot of his DP (Distributed Power) unit. 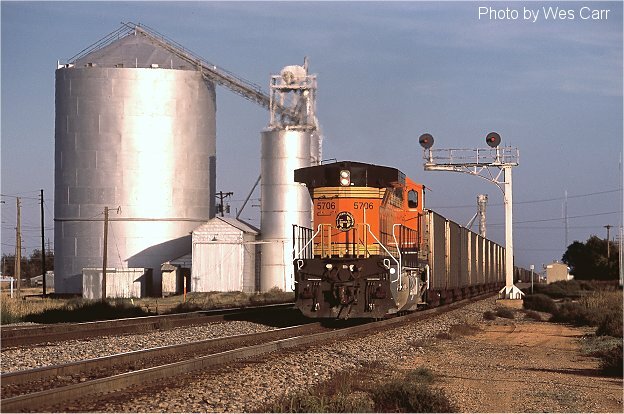 The train was the C RWMOKO0 67 with 128 loads for the West Texas Utilities power plant near Oklaunion. Time photogaphed at Quanah: 18:08.